I left Beledweyne in June 2009, soon after the graduation ceremony of my high school, to pursue a university degree in Mogadishu. I went back to the city a year later (July 2010) and stayed 11 days. In total, I lived in the city for three years of my life. These years were not without challenges. In fact, I lived through some of the most difficult moments of my life in Beledweyne. Floods, the emergence of the Islamic Courts Union in 2006, and the fight against Ethiopian troops when they entered in December 2006 to overthrow the ICU (while we were in the middle of a mid-term examination) were just some of the events I experienced in the city during those three years. For nine years now, I have been based in Mogadishu. I had the opportunity to travel to many cities in Somalia. This time I was excited to go back to Beledweyne, as I still have many friends, teachers and relatives there. There was no airport in the city last time I visited. This time Ugaas Khaliif ‘International’ Airport was functioning. Upon landing, there were people in the queue, waiting to board the plane I had just arrived on. I saw and greeted a friend of mine there. Like many others, including some who called me over the phone after I posted photos with my high school classmates on Facebook, he did not know that I have roots in the city. I also met my high school biology teacher at the airport. A driver was waiting for me and directed me to a room at the airport. When I entered, someone took my ticket, stamped and let me go. The airport infrastructure is poor. The runway turns to mud during the rainy seasons, and it has no proper offices or management team. Another vehicle had already collected our bags from the plane and offloaded them a distance away from the airport building. I collected my bag and went straight to the hotel. While the Djibouti contingent of AMISOM are apparently responsible for the security of the airport, I did not see them upon my arrival. During the four days that I stayed in the city I visited relatives, my high school, and met with classmates and friends. I had the opportunity to visit the families of my sister, my aunt and my nephew. But the most emotional moment was when I visited the house I used to live in. Just staying in the house reignited dormant memories and that afternoon, I remembered the good times I had had in Beledweyne. I realized I should return to Beledweyne and Buulaburte (my home town) when I start writing my autobiography to revive my memories. The next day I visited my high school – Sheikh Mohamed Moalim Primary and Secondary School. The school was established in 1999 and was named after the prominent Somali religious scholar Sheikh Mohamed Moalim before this death in 2001. My Islamic Studies subject teacher, Tawane Maquul, was at the office. 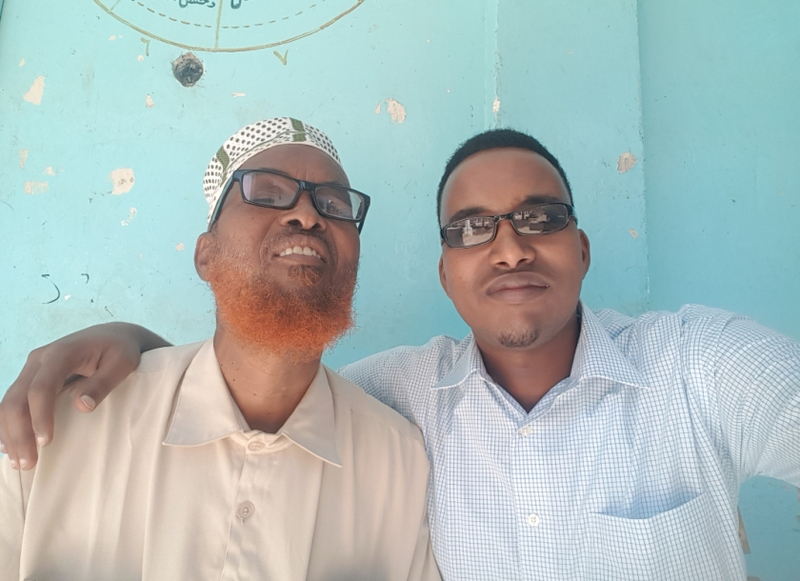 As we chatted and discussed the old days, the school principal Ahmed Dhaqane Ali came and greeted me with joy and happiness. I wanted to talk to the students and encourage them to study hard, but they were on break and teachers were busy with mid-term examinations. 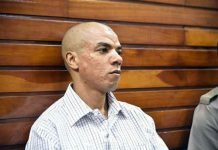 The principal told me about the death of his deputy principal Mohamed Elmi (also known as ‘Any How’). I told him that I was aware of his death, May He Rest in Jannah. That same day, I also met with my Arabic and Geography/History teachers, Osman Ato and Mohamed Ali Dirie, respectively. They are invisible heroes who have devoted their lives to serving the public and fighting ignorance. It was a pleasure seeing them still there, teaching a new generation. One of the most memorable occasions was meeting with my high school classmates. Eleven former classmates (we were 44 in total) met in the town and had a lunch together. Last time we met was July 2010, one year after our school graduation. We updated each other about the different life paths we had pursued. During the past nine years, we managed to organize a few group chats online. But this time we were able to see each other in person. It was a unique and rare moment. I am glad that my friends gathered in honor of my stay in the city. We could see how our physical appearance changed in just nine years. 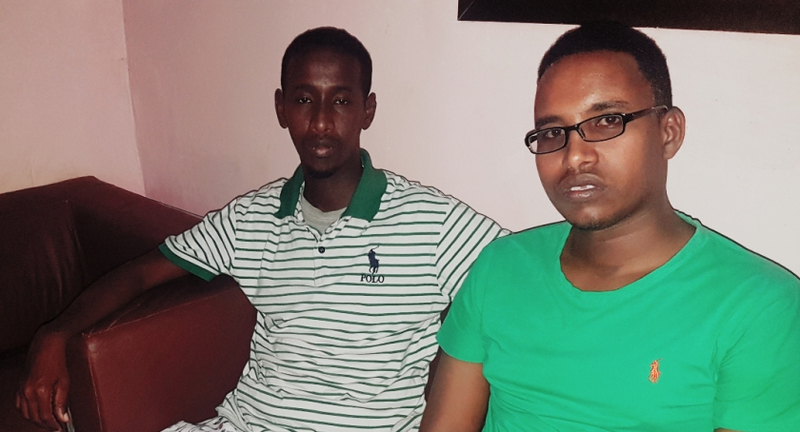 My friend Mohamed Abdullahi Mohamed, was previously nicknamed ‘ditoorka’, as he liked to study health science when we were in the high school. 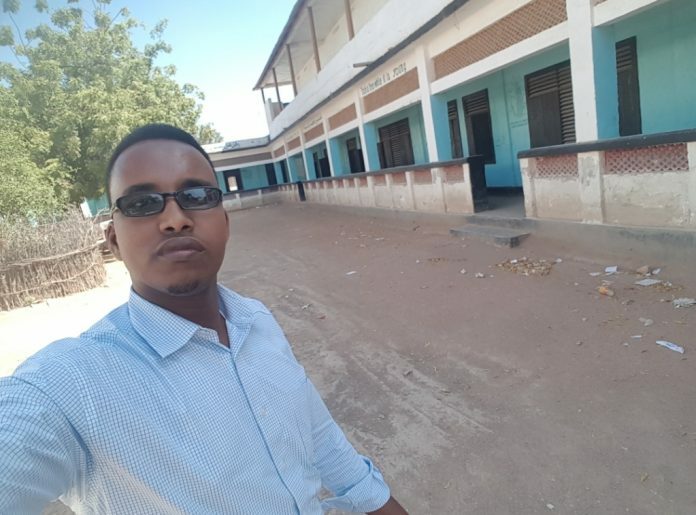 He pursued his passion and studied Nursing at Hiiraan University, and currently works with the regional hospital in Beledweyne. 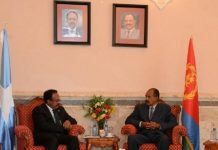 In 2017 his nickname was changed to ‘Farmaajo’ since he shares his first three names with the president. He was unwell at the time of my visit but it was a great pleasure to visit him in his home together with our classmates, and we wished him a quick recovery. I also had the opportunity to meet with my former classmate Abtidoon Osman. Twenty years ago, in 1999, Abtidoon and I were classmates. We used to study on a English Language course at Al-Imra Institute of Languages in Buulaburte. He was a bright student who used to explain the lessons to us; I vividly remember his revisions of the lessons in the first week of December 1999, before we entered our final examination on the morning of 9th December 1999. A while ago he moved to Beledweyne and started working with Dahabshiil where he still works. It was a great pleasure meeting him after such a long time. I was staying in a hotel with no restaurant (it was under construction), so I had to walk and go to a nearby eatery for food. The restaurant was near to a famous mosque known as Bardaha Mosque that produced many Sufi scholars. I used to study Prophetic Traditions (Hadiths) and Arabic Morphology (Sarfi) in the same mosque during my high school years. In the morning, black tea is served for free. A teenager serves tea to everyone who comes and sits for the food, which is cheap — I must confess that I ate more meat than I am used to. Life is simple. Fruits and vegetables are cheap. Most of the middle-class people in the city have farms and produce a variety of agricultural products that are exported to other regions. But the whole economy is dollarized. No one has used the Somali shilling in the city for over a year – see Somali Public Agendacommentary on Somali Shilling in Beledweyne. The city has not developed much. Apart from a few hotels and restaurants, the infrastructure remains similar to when I left close to a decade ago. The roads were not constructed. And living conditions for the majority has not changed. This could be partly a result of cyclical floods and the frequent conflicts the city has experienced. It is also partly due to a lack of leadership and dysfunctional local governments. 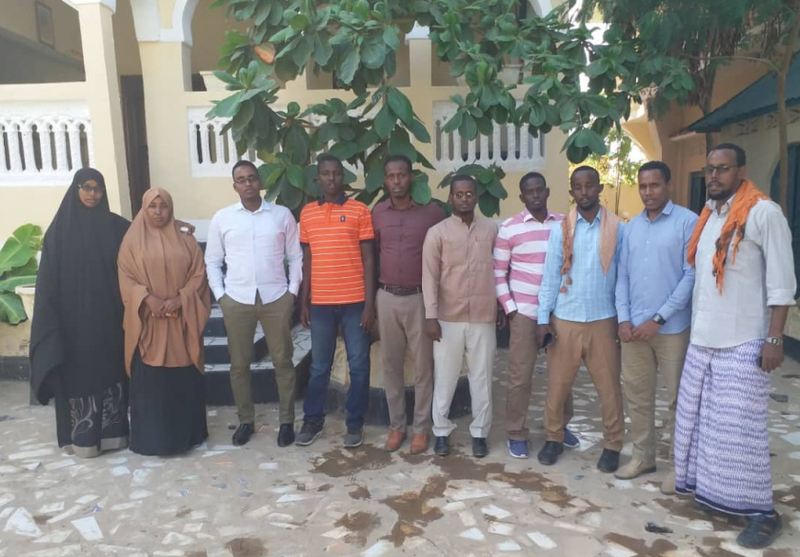 Beledweyne is located at the center of Somalia, and it has strong business connections with the northern and eastern regions but the leadership and authorities at local, Hirshabelle and federal levels seemed to have neglected the city. Competent and committed leadership could turn the city into a commercial hub and an example for growing Somali cities. I wish the people of Beledweyne health, peace and a prosperous lives. The city has been an important part of my life. I felt I was at home and enjoyed my short stay there. I hope I will be able to contribute to the city’s development, one way or another, in the near future. Previous articleDib usoo celinta isticmaalka lacagta Shillinka Soomaaliga ee Magaalada Beledweyne.